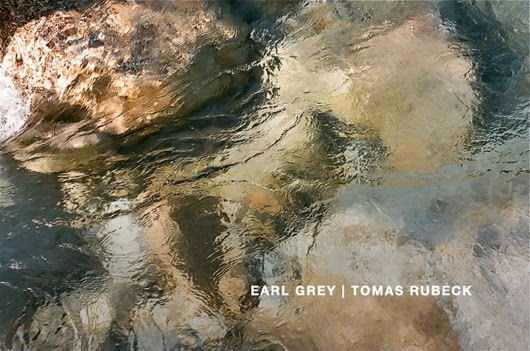 From a well established artist, to fledging new producer, Tomas Rubeck provides the second instalment to our new Earl Grey podcast. When it comes to dub techno that's not produced or released by the usual suspects, the discerning ear naturally becomes all the more discerning. The masses of dub techno, modern dub techno let's call it, being released at the moment, often from continental Europe, can all to quickly wash into the single known template of filtered kicks, chords, delay and reverb. Because of this, upcoming producers to break away from the worn mould such as Tomas Rubeck stand out like a lighthouse for the lost, as this year's Inster EP demonstrated. Tomas Rubeck belongs to a clutch of producers doing inventive things for the deeper strands of dubby techno; Federsen, Roger Gerressen and the ESHU collective, to Soren Jahan's René Audiard alias among his contemporaries. So far in 2013 Rubeck has released the one aforementioned solo EP, featuring the excellent "Inster 2" and remix from Mattias Fridell who continues to impress with every remix he does, proving to become somewhat of a remix specialist. Based out of Derby, east Midlands area of the UK, Rubeck could be considered somewhat of an anchorite for the sound he delivers. Following digital EPs for Landed Productions, his vinyl debut came through the Maltese cuisine inspired Lampuka Records in 2011. Since then he's further developed his sound, earning a call up from the established Telrae imprint earlier this year, reworking a track from the debut EP by new name Andrea Cichecki, while most recently Rubeck's "Factions" appeared alongside productions by Fridell, Myles Sergé and established Japanese artist Imugem Orihasam on a various artist sampler by ESHU. It's with great pleasure that we invite Tomas Rubeck to curate the second edition of our Earl Grey series, in a mix that weaves its way through subby electro from Conforce to the shaman inspired rhythmics of Dino Sabatini and Donato Dozzy. He's really THE KILLER! Awesome music selection!